large red skinned tubers are preferred. Cooking type B, excellent taste, low discoloration after cooking, very low tendency for internal defects, medium early maturity, starch content 13 – 14 %. Medium number of uniform tubers, large tuber size, very high marketable yield. Oval-longoval shape, smooth red skin, shallow eyes, yellow flesh. Strong erect stem type, white flower. 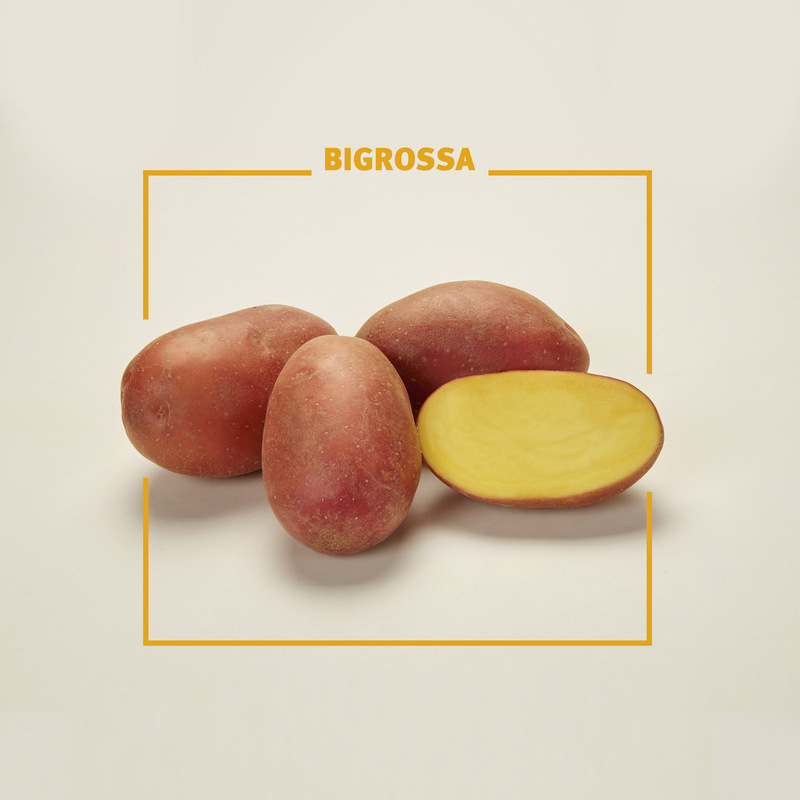 very high adaptability to different kind of soils and climatic conditions, seed tubers of BIG ROSSA should be pre-sprouted before planting. Chemical control against Rhizoctonia solani is recommended. Bigrossa should be planted in a wellprepared seedbed a bit deeper than average, with 30 – 32 cm distance between plants in a 75 cm row. Planting in wet cold soils reduces tuber set, planting by All-in-one system should be done a bit later. Not sensitive to Metribuzin, routine chemical control of late blight combined with ingredients against early blight, beginning of chemical haulm killing not to early.